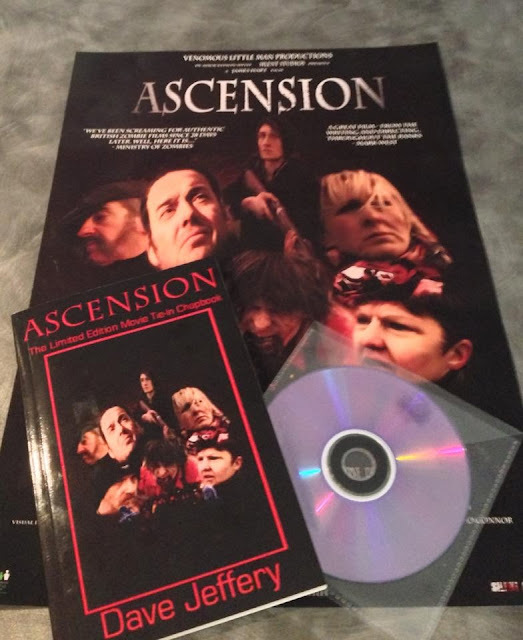 For fans of UK horror a must have collectors pack for short film ‘Ascension’ is now available for pre-order. The award winning short film, Ascension, is to be released as a limited edition collectors pack. Having won a Bram Stoker International Film Festival Award (Best Director – James Hart) the DVD will feature the movie, a ‘making of’ and the production company’s entry to Frightfest’s 666 Short Cuts to Hell. As well as this there is a movie tie in chapbook by scriptwriter Dave Jeffery and a movie poster. All items are signed by the director, writer and editor. The packs cost £15 and can be pre-ordered by contacting Dave Jeffery on: davebjeffery@btinternet.com.